For every blood, platelet or plasma donation you make at our six centers during school vacation week, we donate $1-a-donor to The Tomorrow Fund at Hasbro Children's Hospital. Someone Else donates a lot of blood—more than 75,000 pints a year. Because donating blood saves lives. You can help Someone Else and save lives, too. 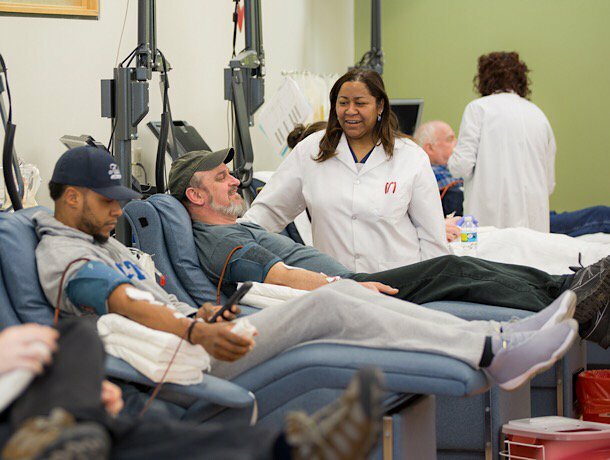 Providing blood and blood products to patients takes a sustained community effort between volunteer blood donors, blood drive sponsors, hospitals, and the Rhode Island Blood Center. When you give, we get your blood to the people who need it. Find out how to sponsor a drive in your community to help save lives. Join the marrow donor registry to be someone's one and only cure. Double your kindness. For every donation you make at our six donor centers 4/14 - 4/20, we will donate $1-dollar-a-donor to the kids at The Tomorrow Fund! Donate at any of our six donor centers for chance to win Boston Red Sox tickets! As one little RI boy wins a fierce battle, another needs battle buddies in the form of blood and platelet donors. You may have questions and even some common misconceptions about donating blood. Get the facts, and let us walk you through it. Even little superheroes need heroes. When you give blood, you help save kids like Chris Jr. of Charlestown, RI.